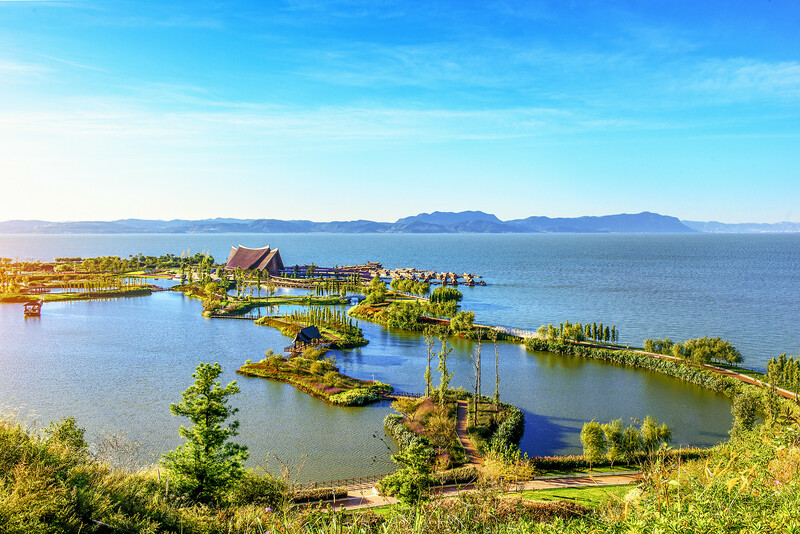 Known as the City of Eternal Spring, Kunming is the capital of Yunnan province. 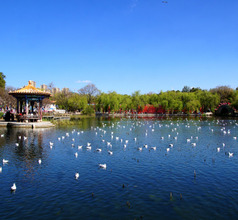 Kunming City is a very popular tourist destination in China due to multiple reasons. It is blessed with beautiful landscapes characteristic of the Yunnan-Guizhou Plateau and mountain ranges. The city’s pleasant sub-tropical climate adds to its appeal as a holiday destination. Located in the southwestern end of China in the Yunnan Province, many tourists club together Kunming City, Myanmar, Vietnam, and Laos in the same trip. 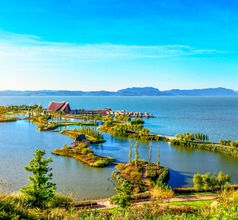 It's also the launching point for most people's travel to the rest of Yunnan province. 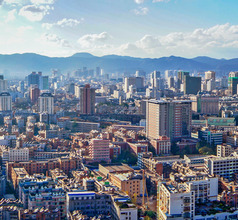 Being a provincial capital, Kunming City is a well-developed urban area. Ancient mansions, temples, and historical relics coexist side-by-side with skyscrapers, recreational centers, parks, shopping malls, bars, lounges, and food streets to form a very diverse whole. 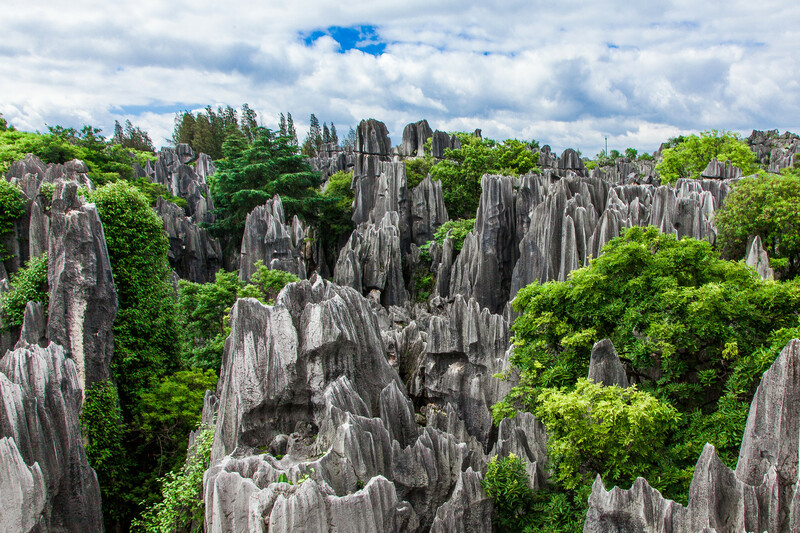 Also, the city is surrounded by a wealth of natural resources like tall mountains, colorful karst landforms, stone forests, and more. This is another reason why the city has become a favorite oriental vacation destination for domestic and overseas tourists, especially for hikers, backpackers, and photographers. 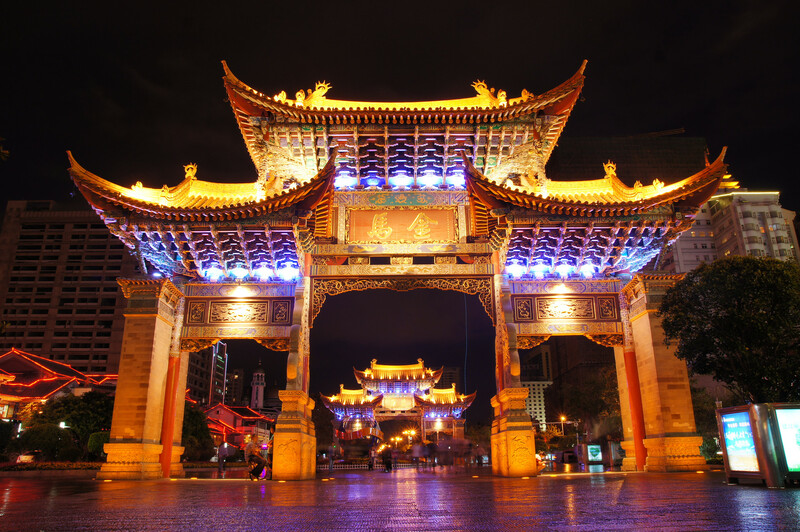 The rich history of Kunming City can be traced back to 2,400 years when it was considered the easiest access point for the Tibet and Sichuan when they were not parts of China. The city was also an easy entry point for Myanmar (called Burma in those days) and India and there were well-defined trade routes between China and these nations. With the Westerners annexing Myanmar in the 19th century Kunming became a major hub for foreign trade. Hence, the population has always been very affluent and cultured and has had a cosmopolitan attitude towards visitors. World War II left its mark on the city in the form of architectural beauties that have remained in well-preserved conditions. These relics can be found alongside typical Han Chinese Buddhist relics and the ethnic-style structures of the Bai, Yi, Dai, Miao, and Hani groups. 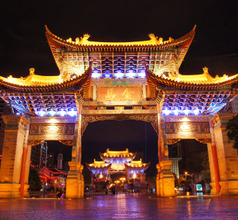 Exploring the old pedestrian marketplaces can be a wonderful experience in Kunming City. These cobbled streets are lined with countless little cafes and shops selling a variety of affordable souvenirs. The locals are famous for making exquisite handmade wood carvings, ivory carvings, tie-and-dye fabrics (scarves, stoles, bags, and other accessories), Buddhist artwork, and more. There is a lot of variety as far as accommodation in Kunming City is concerned. One can choose from 2, 3, 4, 5-star luxury hotels. For those who are traveling on a limited budget, there are countless guesthouses, lodges, inns, service-apartments, and youth hostels. The premises and rooms are usually clean and well-maintained but the number of amenities depends on the star-rating of the hotels. The luxury hotels have in-house restaurants serving International-style gourmet meals so food will not be a problem. The cheaper hotels usually have western-style takeaways within a short distance. Only the English language might prove to be a slight problem in the cheaper hotels so it is advisable to download a suitable translation app or carry a dictionary. 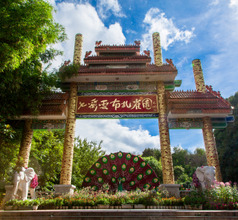 There is a rich Buddhist culture in the city of Kunming. One of the oldest temples in the city is the Yuantong Temple which is a 1200-year-old grand temple. 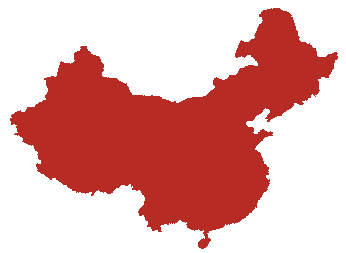 It was built during the Nanzhao Kingdom and extended during the Ming and Qing Dynasty reigns. Hence, its architecture is an aesthetic blend of different dynasties. Unlike other temples in China where one has to climb a hill to enter its complex, to enter the Yuantong Temple one has to climb down to the entrance. This temple has several magnificent Buddhist statues including those of the 500 Arhats (sages). Just 12Kms from Kunming City is the Western Mountain Forest Reserve. Cable cars are the easiest way to explore the magnificent beauty of this region. The Longmen Grottoes located here are the largest ancient Buddhist grottoes in China. Another spectacular site here is the mountain known as the “Sleeping Beauty which is a favorite of photographers. 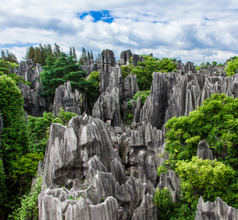 This scenic area also consists of several temples, ancient gates, and lakes. Another spectacular Buddhist relic is the 17th-century Tanhua Temple. Its collection of ancient Buddhist relics is definitely worth seeing. Another reason why the temple is famous is that it has an immeasurable number of flowering plants and trees in the complex. 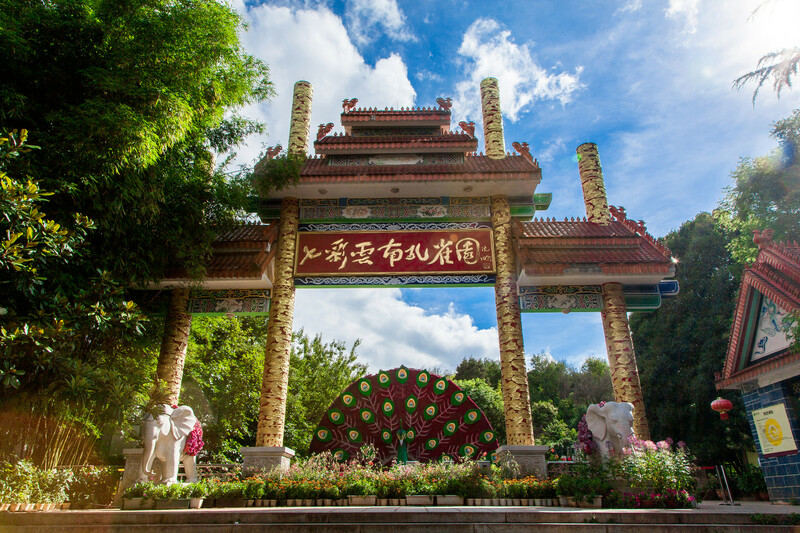 In fact, Kunming City was called the “Flower Town of the Southern Frontier” due to the rich flora found in the temple complex. Another highlight of this attraction is the Lotus Pond where there are colorful fish. A visit to the Qiongzhu Temple is a different prospect altogether. It consists of unusual life-size statues of humans. The most prominent sculpture is the figure of the man whose eyebrows seem to grow till the floor. To understand the rich history of Kunming, a visit to the Yunnan Provincial Museum is a good idea. It consists of more than 50,000 historical and cultural relics. These include bronze items, revolutionary exhibits, ethnic handicrafts, and cultural items. This older station runs trains to Vietnam on a different track gauge than the rest of the network. Conventional trains to the rest of China and the rest of Yunnan province leave from here. It's location is quite central, and can be accessed on Metro Line 1. Kunming's high speed railway station is located around 20km south of the city center. You can access it via the spurs line of Metro Line 1, and eventually also Line 4. Kunming Changshui International Airport is the 6th busiest airport in China. With breath-taking design of its single terminal, it serves many connections in China and over 14 international destinations. In under 20 minutes, Subway Line 6 reaches downtown and costs RMB5. Timings of the trains are 06:30 to 22:30. After which, taxis are available and must be used with caution. Besides, Airport shuttle lines 1-6 cost RMB25 and go all over Kunming though they take longer. As Yunnan Province has the largest presence of various ethnic minorities groups, the cuisine is varied, colorful, aromatic, and as interesting as the people. 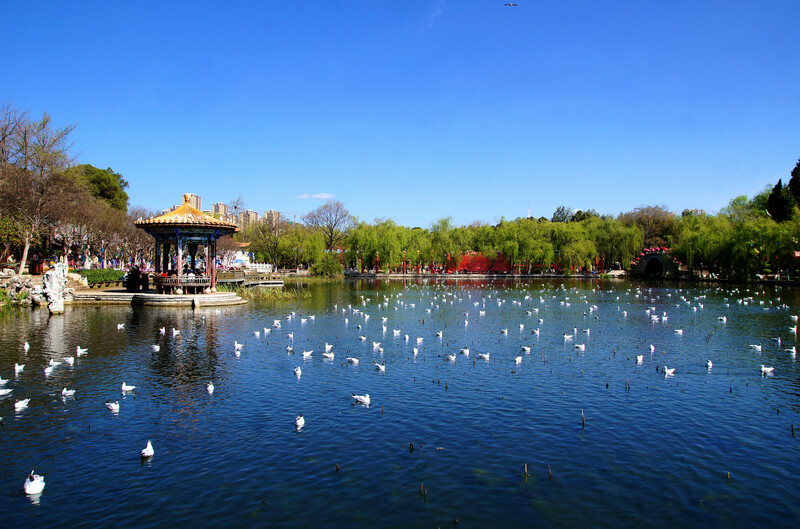 Kunming follows the same culinary styles of the province and has a delicious array of meals and snacks that are a favorite of domestic as well as overseas tourists. Some of the local specialties are Bata (round bread), Crossing the Bridge Noodles, Adzuki beans, Erkuai (rice cakes of the Bai people), Pineapple Rice (of the Dai people), Shiping tofu, crisp stuffed buns, steam pot chicken, etc. The Pu’er Tea is the signature drink of Kunming. It is a dark beverage that has become famous worldwide due to its health benefits.